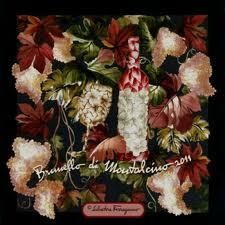 The early harvest has rewarded the 2011 Brunello di Montalcino with 4-stars. So many, in fact, are the stars that the jury of experts and producers have attributed on February 25th during the “Welcome Brunello” meeting, when they publicly announced their verdict on the quality of the vintage. The decision to collect the grapes 15 days ahead of schedule has efficaciously balanced the effects of the heat wave that hit Tuscany last summer, consigning also to 2011 a high quality level vintage. Now we’ll all have to wait five years, as required by regulation, to taste Brunello 2011 and receive confirmation on the excellence of the wine; 6 years for the Reserve. 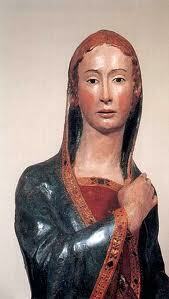 The meeting proceeded with the laying of the commemorative tile and the Leccio d’Oro –Golden Holm Oak- prize-giving. This year features a masterpiece of tile, which as by tradition is placed upon the outer wall of the Palazzo Pubblico –the town hall- of Montalcino, being designed by the haute couture brand Salvatore Ferragamo. The tile is an original floral arrangement in which the leaves of the vine, the vine leaves and grapes are the backdrop for a glass and a bottle of wine, taking the form of delicate white flowers and pink. 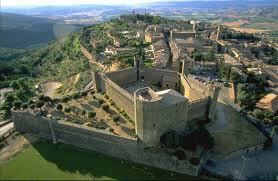 The stunning medieval town of Montalcino sits upon a hill which was probably settled in Etruscan times. It takes its name from a variety of oak tree that once covered the territory; today the surroundings are dominated by the famous vines and by olive groves. At the highest point of town is the 14th century pentagonal fortress. From the main gate of the fortress a narrow street leads to the 13th century Romanesque church of Sant’Agostino. Next door the Musei Riuniti have taken over the rooms of an ancient convent and hold various works such as the 15th century wooden sculpture of an incredibly moving Madonna, which has become the symbol of town in various ads, a gorgeous wooden crucifix by an unknown artist of the Sienese school, a St Peter and St Paul by Ambrogio Lorenzetti, a Virgin and Child by Simone Martini and several terracotta sculptures apparently of the Della Robbia school. The Cathedral, instead, was originally built in the 14th century, but, owing to extensive renovation work, today has a neo-classical appearance. The above-mentioned town hall was built towards the end of 13th-beginning of 14th century and once was the Palazzo dei Priori, as the coat of arms adorning the palace proves. The hilltop town of Montalcino is surrounded by farmland of great history and beauty. The gentle rolling hills of Val d’Orcia are occasionally broken by gullies and by picturesque towns such as Pienza, Radicofani and obviously Montalcino. 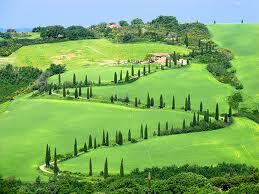 Not for nothing since 2004 Val d’Orcia has been added to UNESCO’s World Heritage Sites list. 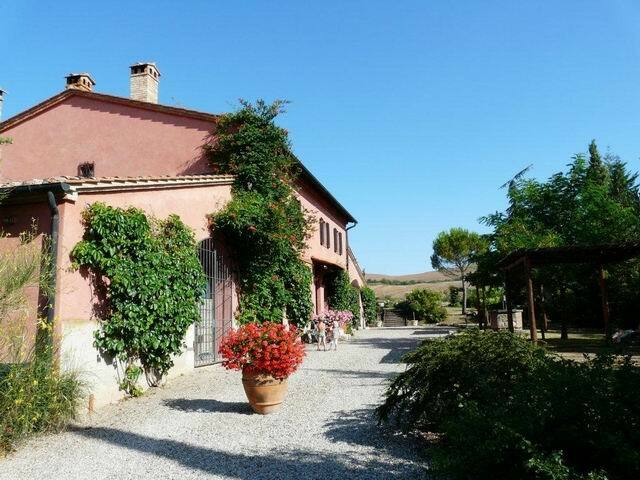 Surrounded by this magnificent landscape is a beautiful villa with pool near Castiglione d’Orcia which can comfortably accommodate up to 21 people. Around only peace and quiet, and at just a few kilometres the famous spa towns of Bagno Vignoni and Bagni San Filippo. How to resist visiting this part of the world with its medieval villages to visit and its savoury dishes and excellent wines to taste? Questa voce è stata pubblicata in Culture and accommodations in Tuscany, Tuscan food and wine. Contrassegna il permalink.